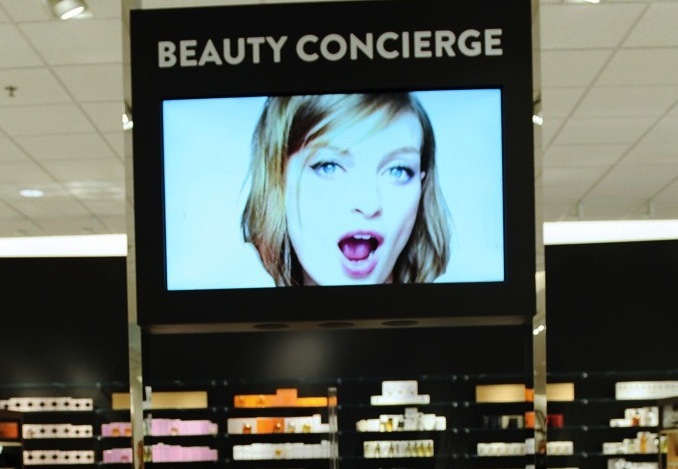 Nordstrom's new beauty concierge. Image by Stefanie Keenan for WWD. 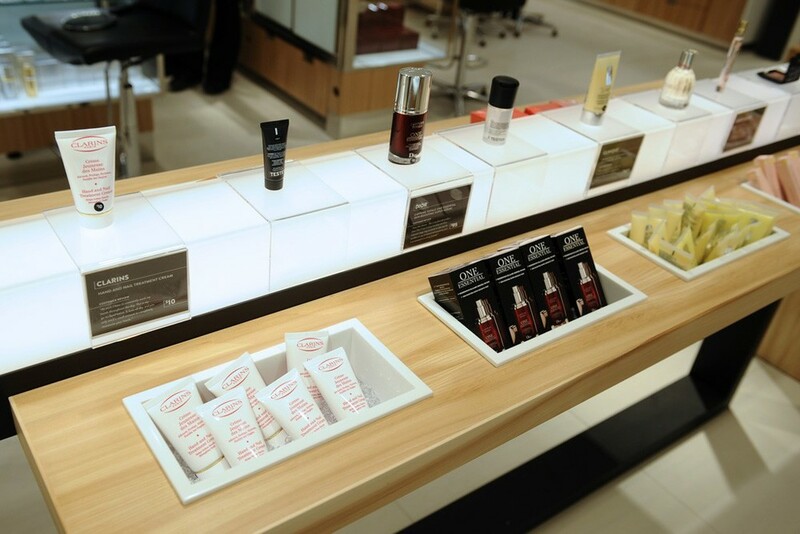 Nordstrom has launched a new beauty concept that will continue to roll out to top doors next year. The retailer achieved $1.2 billion in beauty sales last year, and is now looking to create a new environment for their customers. 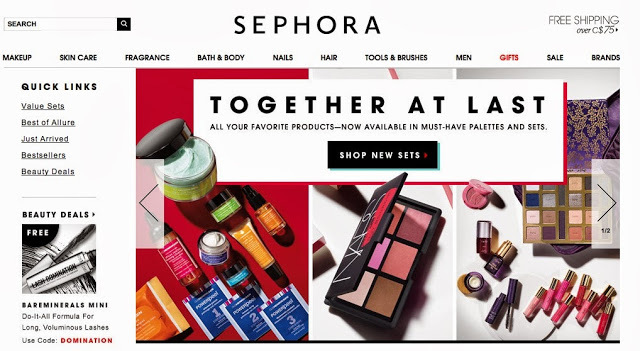 They are not inventing a model, it bears resemblance with much of what is happening at Sephora stores, but they deserve full credit for evolving beyond the standard department store model. Brand presentations complete with brand ambassadors dominate the main floor of almost every department store. 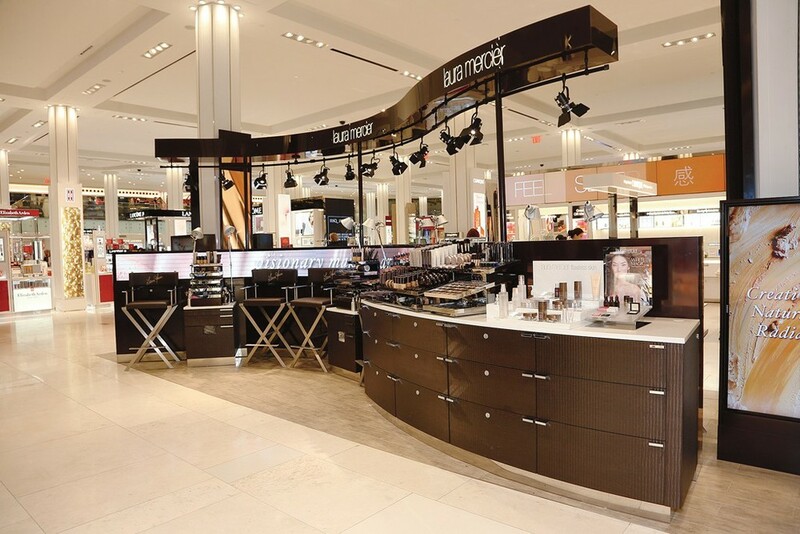 Macy's, in fact, just completed their own cosmetics floor renovation at Herald Square, which featured mainly redone brand counters (shown above). By introducing open-sell and a list of other features, Nordstrom is setting itself apart. Open sell, stocking and displaying product so the customer can pick it up herself and head to the check-out (without having to go through a brand-appointed sales person), is perhaps the most important strategy Nordstrom adopted to support it's strong service component. It should be noted that Nordstrom's service philosophy differs from the luxury business norm. The retailer believes in giving their customer freedom of choice, both in product, but also in how they want to be serviced. This includes the freedom to walk in-store and pick-up a favorite lipstick or cream without interacting one-on-one with a brand ambassador. Nordstrom has not abandoned the traditional model; they are simply using both. Brand ambassadors are still present to service those customers seeking advice. Alexandre Choueiri of L'Oreal USA agrees, "Luxury buyers consistently ask for more brand expertise, more educated staff on our brands, better service around products, etc". Nordstrom's beauty department. Photo by Stefanie Keenan for WWD. 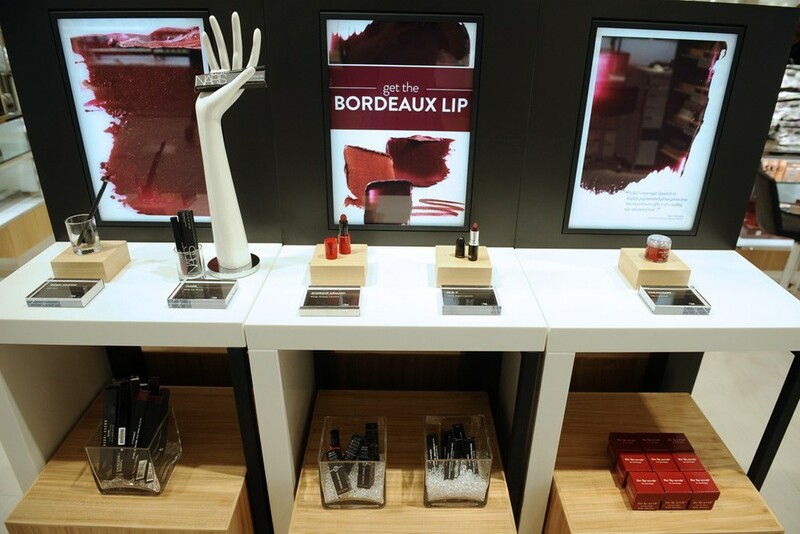 A beauty concierge further highlights Nordstrom's commitment to servicing the customer the way in which they want to be serviced. Beauty concierge features industry experts who are not connected to a particular brand. Many of the retailers more innovative partners have shown support for the concierge; Louis Desazars (CEO of Nars), "their opinions should not be skewed ad should be very genuine to what they believe is the right product for the customer…I think it was a very smart move for Nordstrom". The end-cap category displays help the customer to navigate some of the more populated merchandise categories. They also feature trend focused multi-brand assortments throughout the store, ensuring the overall experience is playful and fun. Trend Category display at Nordstrom. Photo by Stefanie Keenan for WWD. Retailers like H&M, Forever 21, and Sephora have long offered a mini must-haves section, generally located close to the long line-ups to the check-out counter. They have served as great pick-me-ups and add-ons to increase the customer's basket and spend. Nordstrom is ensuring their mini must-haves will turn once a month featuring "what's really hot in beauty". Mini's are a great way for customers to trial and test a product. Mini Must-Haves at Nordstrom. Image by Stefanie Keenan for WWD. Nordstrom's focus on servicing their loyal and new customers continues to drive them toward new ideas at a much quicker pace then most department stores. By eliminating barriers and increasing customer's engagement and access to the product, their service environment is more dynamic and shoppable for a new wave of consumers. "You can really service multiple customers easier than a traditional environment"
-Alicia Valencia SVP of sales and marketing at Bobbi Brown. Last year, Nordstrom's beauty category achieved over $1.2 billion in sales, which is a healthy business for the retailer at 11-12 percent of its total. They certainly did not need the renovation of drive sales, but often those who get ahead of the game remain there. The beauty industry is dominated by large global companies. And the newness often comes from the smaller, innovative companies and experts. Take a peek inside with our series of courses and workshops. 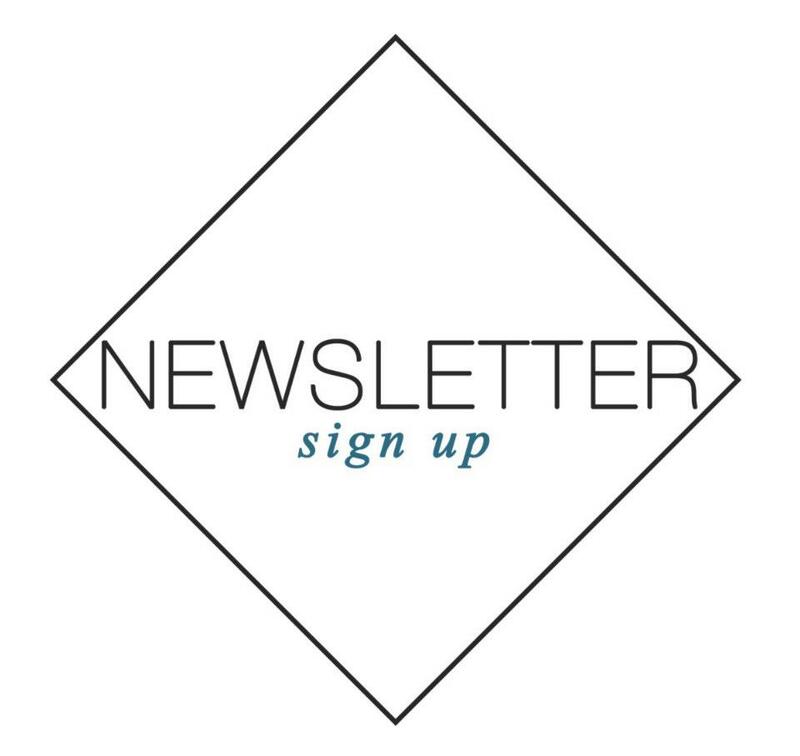 Sign-up for The Weekly for great retail news stories and business inspiration.